We’d love your help. Let us know what’s wrong with this preview of Return of Joy by Lynette Endicott. When Joy Huffman's recurring dreams of the husband she lost become urgent she is convinced to go to the cabin, their project of love, in New Mexico. With her daughter and mother-in-law, they set out to learn what Steve wants them to know - that his death was no accident, but murder. Their investigation stirs up the evil that ended his life, and puts them all at risk. The caretaker at the cabin, Mark Stone, is challenged to keep them safe while he unravels the mystery of why Steve died. Along the way he falls in love with Joy -- but will she be open to loving again? "'Take care of Joy'," he said to me. "'If anything happens, you'll take care of my Joy, won't you?' And I will." I'm still taking care of her. Joy had needed Evelyn then, and she needed her now. A new mother couldn't deal with planning a funeral. Evelyn had picked out the casket and planned the service. She got Joy through the condolences and the days and weeks after the funeral. She pushed down her own pain at losing her son so that she could support his little family. She had been there when Joy struggled to move from one day to the next. Evelyn had helped Joy get back into her business -- now home-based, because of the baby. Who else could call clients and make appointments, prod Joy to move back into the world, and cover for her when she couldn't work? Moving in with Joy had come naturally. After all, living with her was much more convenient, and during months of lower productivity, sharing costs would help them both. Joy needed so much from Evelyn. The older woman had given up her privacy and independence because she wanted to take care of her new granddaughter and the woman who'd given the child life. She'd promised Steve. Besides, they were family. Joy took a tentative bite of toast. "I'm already packed. I hope you'll come with us." She took another bite, and then another. Evelyn was pleased to see her eating so well. Maybe this decision was what she'd needed. 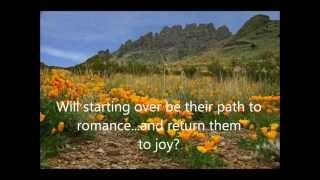 Published October 15th 2012 by Desert Breeze Publishing, Inc.
To ask other readers questions about Return of Joy, please sign up. This is second of three in a series, but stands alone as a starting over love story with some suspense thrown into the mix. Because this was my first book it took a LOT more editing than I anticipated -- but I am so glad to share Joy's story. I don't think the author is supposed to rate it though! At first glance, Joy Huffman seems to have the perfect life: a loving husband, a baby on the way, a beautiful cabin designed and built for the life they'd soon share. Fate had other plans. On the night she gave birth to her daughter, her husband Steve is killed in a car accident. Joy plunges into a two year tailspin saved only by the need to take care of her child and the support of her grieving mother-in-law. It is only the recurring dreams she has when Steve returns trying to tell her somethin At first glance, Joy Huffman seems to have the perfect life: a loving husband, a baby on the way, a beautiful cabin designed and built for the life they'd soon share. Fate had other plans. On the night she gave birth to her daughter, her husband Steve is killed in a car accident. Joy plunges into a two year tailspin saved only by the need to take care of her child and the support of her grieving mother-in-law. It is only the recurring dreams she has when Steve returns trying to tell her something, trying to draw her to the cabin she's never seen completed and avoided since his death. When even her baby talks of seeing Steve, Joy feels compelled to go to New Mexico. Accompanied by baby Charity and mother-in-law Evelyn, Joy confronts the possibility that Steve's death was no accident. In The Return of Joy, Lynette Endicott creates an evolving storyline peopled with memorable characters and settings so vivid they provide a backdrop as alive as the people. The cabin is like an HGTV Dream Home with a waterfall wall, secret hideaways, and surprises at every turn. It is set in a landscape of mountain and desert splendor near Santa Fe where morning walks with handsome caretaker Mark begin to work their way through Joy's grief. Hovering over all is the mystery of Steve's possible murder. This second of Endicott's Starting Over series, stands alone but aptly addresses her theme of second chances in life. The reader strongly empathizes with and roots for Joy as she works to earn her second chance. The blend of romance and suspense mixes easily with the deeper work of the plot giving it a substance that lingers in the reader's memory. Anxious for this one to go on sale! I LOVED the first in the series!! 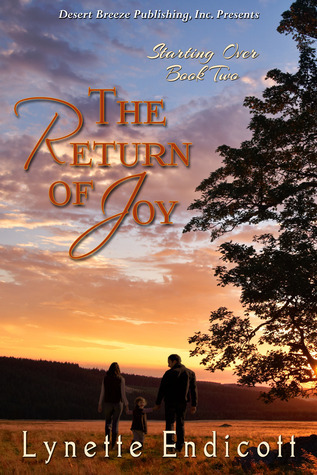 "The Return of Joy" which I won through Goodreads Giveaways is a poignant contemporary romance set against a backdrop of devastating loss intermingled with a tinge of a murder-mystery. Lynette Endicott sets the stage at a cabin Joy Huffman and her husband lovingly designed in the foothills of Santa Fe, New Mexico. Although she abandoned it after an accident took her husband Steve's life she feels compelled to return with her daughter Charity and mother-in-law Evelyn. What she doesn't expect is t "The Return of Joy" which I won through Goodreads Giveaways is a poignant contemporary romance set against a backdrop of devastating loss intermingled with a tinge of a murder-mystery. Lynette Endicott sets the stage at a cabin Joy Huffman and her husband lovingly designed in the foothills of Santa Fe, New Mexico. Although she abandoned it after an accident took her husband Steve's life she feels compelled to return with her daughter Charity and mother-in-law Evelyn. What she doesn't expect is to be attracted Mark Stone, the caretaker at the cabin and to reopen the investigation into Steve's death. From the first page to the last, the plot sparks with the chemistry between Joy and Mark, each one haunted by pain in their past. Tension and awareness between the two grows steadily, although Joy harbours mistrust and uncertainty at first. As events unfold the story grips the reader, the intensity building as a killer stalks Joy and her family looking for incriminating evidence in an embezzlement case that Steve was researching before his death. In a dream home filled with hidden cubbyholes Lynette Endicott cleverly provides clues to the mystery; a letter which brings tears to Joy's eyes and a strange key. Although we learned a lot about Dustin Scott's reasoning and motivation for the embezzlement and murder, his contribution to the subplot suddenly fades when Mark sends Joy and her family to safety. Only later in the story when Mark phones Joy does he tell her of Dustin's arrest by the police. For me this was a bit of a letdown. Yet, I did enjoy the romance between two lonely people who have suffered heartbreak and unexpectedly find love reawakened in their lives. The characters are fascinating, realistic and unforgettable especially Joy Huffman who after delivering a baby on the day her husband's killed loses her joy of living. Vulnerable and weepy she's suddenly faced with new emotions at the cabin that leave her apprehensive, but wanting to explore a second chance at love. Mark Stone the head of a security systems company who returned to Santa Fe after the tragic death of his wife is reclusive and protective of his privacy until Joy shatters the ice around his heart and he learns to love again. Charity is Joy's bubbly, innocent and engaging two year old who also unknowingly steals Mark's heart. I loved the fiery exchange between Jonas and Evelyn, and the slow simmering of their romance. Evelyn is calm, organized, independent and in control until the neighbour who's a refined, cultured and curious botanist ignites her heart. All these personalities add to the energy and passion of a captivating tale that I found hard to put down. I thoroughly enjoyed "The Return of Joy" with Joy and Mark's journey towards love and commitment and will look for other books in the "Starting Over" series. I love the setting and the chactors. it was a fast read and i never wanted to put the book down and read it one day. fall in love with Joy and her daughter and Marks. I enjoyed the sweet romance, and would have rated the book 5 stars, except the mystery and problems were solved without enough suspense. I was 14 when the editor of our church's publishing house taught a journalism class at church camp. My Dad took the photos, so it was easy to write and illustrate an article about an event that week. The editor added in excerpts from the other kids in the class and my first article was accepted for publication. Through the next four years, eleven more were published. I had encountered my dream - t I was 14 when the editor of our church's publishing house taught a journalism class at church camp. My Dad took the photos, so it was easy to write and illustrate an article about an event that week. The editor added in excerpts from the other kids in the class and my first article was accepted for publication. Through the next four years, eleven more were published. I had encountered my dream - to be a writer. In the intervening years - more than forty - I continued to write for fun. I kept several fiction stories through multiple edits, certain that one day someone would publish them. That would only happen, though, if I submitted them for publication. At the urging of Tami Dee, the co-author on the Time After Time Saga, I finally submitted the first two - and to my amazement her publisher bought them both, and suddenly the dream was unfolding for me. Join me on this journey of writing contemporary romantic fiction, meeting and learning from other authors, and getting the word out on that next book. I've lived in Illinois, Nebraska, Kansas and now in California. I have a husband, daughter and son-in-law, two grandchildren, and between us we've rescued and adopted three dogs, three cats, and a bird. I collect castles, read, and garden.